The Celebration Event was held on Wednesday 18th February. 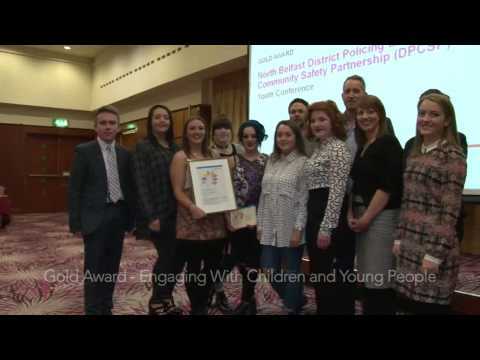 The 2014-15 Commissioner’s Participation Awards aimed to identify and recognise good practice at each stage with the hope that organisations government departments and public bodies could learn from each other and develop more meaningful participation of children and young people in their organisations. The Youth Panel were involved in exploratory research with government Departments which highlighted that while there were few examples of outstanding work there were some aspects of participative practice which we felt were worth highlighting. We looked at several examples of organisations getting ready for an undertaking participation projects and found that there were three stages to participation; Preparing Your Organisation for Participation, Engaging with Children & Young People and Follow up & Demonstrating Impact. You can find out the winners from the awards here. “Article 12 of the United Nations Convention on the Rights of the Child says children have the right to say what they think should happen and have their opinions taken into account when adults make decisions that affect them. This was NICCY’s third Awards scheme and the young people noticed a marked improvement in the type of applications they are receiving. “This is good news for these organisations, for children and young people, and for Northern Ireland society as a whole. It shows that children and young people’s inclusion and participation is beginning to be taken seriously. Services are more effective when young people contribute as active citizens. 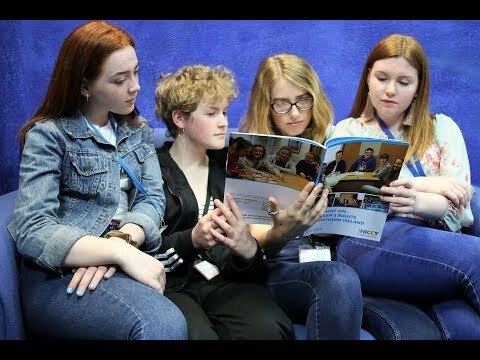 “While it was very difficult for the Youth Panel to choose the winners from the many excellent entries, these ten organisations stood out for them, demonstrating their commitment to involving children and young people, listening to them, and more importantly acting on what they said.